Ballymore will be represented by three very nice horses in two states this weekend, Rhythm To Spare (pictured) and Yesterday's Songs taking their place in the TROA Anniversary Vase at Caulfield whilst War Legend heads to Adelaide for the Listed Port Adelaide Guineas. Both nicely drawn - Rhythm To Spare (barrier five) and Yesterday's Songs (three) - are in fine shape leading up to their assignment, Glen Boss to take the ride on the former and James Winks on the latter. Having his first start since late last year, Rhythm To Spare has not been in the placings at his last few first up runs but he has not been too far away in good class races. "He has trialled up nicely," Michael Moroney reported, "and from the good draw he looks a nice each-way chance." Yesterday's Songs meanwhile has been kept fresh since running fifth in the Gr.3 Victoria Handicap at his most recent outing and he boasts consistent records at the 1400m and at Caulfield. "A bit of rain about would've helped," Moroney rued, "but he is in a race that he can win so long as things go his way." War Legend has not fared quite so well in the barrier draw (gate 12) but he enjoys a drop in grade having run such a nice fifth behind Tally and Palentino in the Gr.2 Alister Clark Stakes in mid-March. 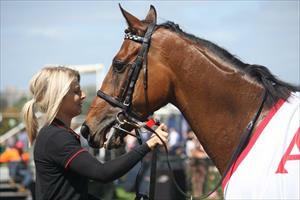 "He is a horse we have always had a lot of time for and he has been on the improve. He should prove hard to beat."